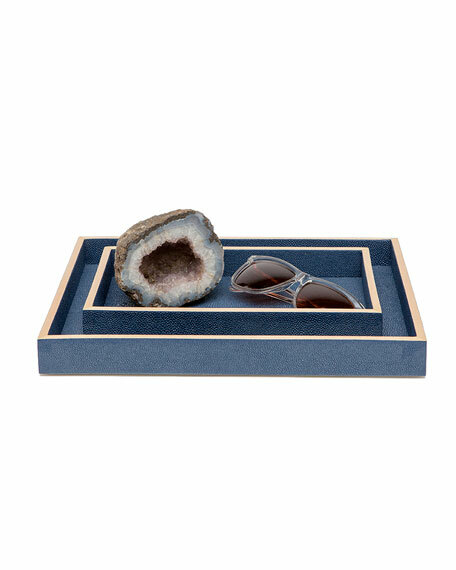 Vanity trays with faux-shagreen texture and wood veneer trim. 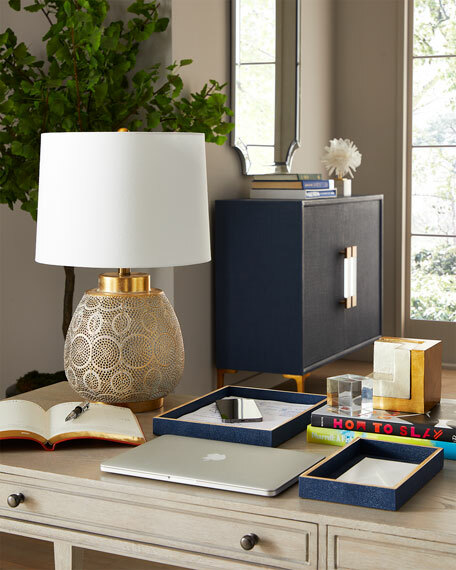 Two-piece set includes 10"L x 6"W tray and 13"L x 10"W tray. Both, 1.5"T.